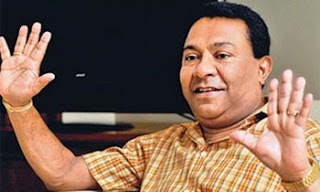 Minister of Social Empowerment S.B.Dissanayake said that they were extremely confident of passing the no confidence motion against Prime Minister Ranil Wickremesinghe and that he believed that many United National Party(UNP) and Sri Lanka Freedom Party (SLFP) members would support it. in the political landscape thereafter but re-iterated the fact that there was no hurry to change the Cabinet at this juncture. He made these comments at a ceremony held in Liyanwala in Walapane to declare open a model village displaying Samurdhi products. He also distributed electrical appliances to several individuals. “Following the local government elections, 167 local councils cannot be established without the support of Sri Lanka Freedom Party (SLFP). We are holding discussions to make sure that our members all get into these LG bodies and will do what is advantageous to us in future,” he said.